For our third service in January's "Back to Basics" series, Rev. 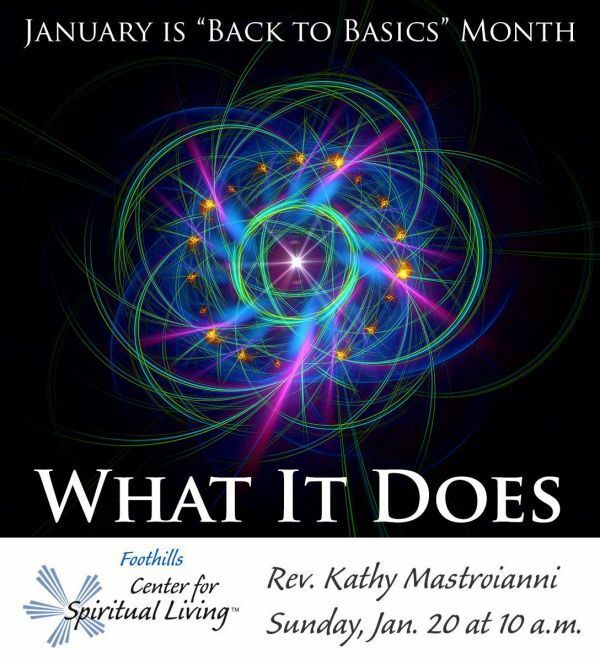 Kathy Mastroianni will explore "What It Does," how this unconditionally loving Universe brings us the perfect situations for our soul's journey and how we can use the power greater than we are in our daily lives. Join us at 9:30 for meditation with service at 10 a.m. and fellowship immediately following. Located in the beautiful temple shared with Congregation Beth Evergreen by Elk Meadow Open Space.